Gahhhh the nice thing about not following movie news is that I was totally surprised by this one today. 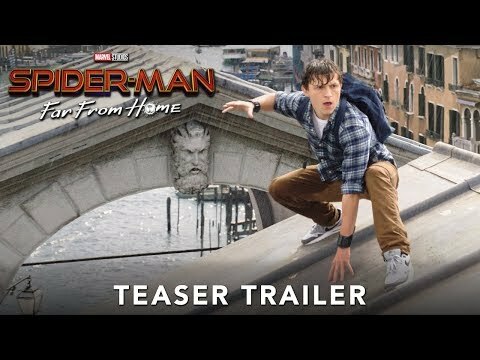 I had no idea they were doing another Spider-Man movie! Nice to see a Hollywood movie that isn't set in NY or LA. I love that Marvel continues to get what is great about their characters and stories in the exact way that DC doesn't. The potential for twists and insane comic book plot fun in the upcoming MCU films is driving me mad. You have shape shifting Skrulls, who knows if one has been lurking as a double agent this entire time, you have time stones and the quantum realm, and now Mysterio, who's entire schtick is deception. I think these films are going to swerve us a bit so they can lay the groundwork for the next big phase of these movies.